The Ghana National Fire Service (GNFS) has said stranded parliamentary staff working in the Job 600 office complex will have access to their offices today [Thursday]. The workers were denied access to their offices after fire gutted portions of the complex. Speaking to Citi News, the Deputy Public Relations Officer of GNFS, Billy Anaglatey said, the technical committee constituted by the Chief Fire Officer to investigate the fire incident had completed investigations and presented its findings to the Chief Officer, paving way for workers to resume work. 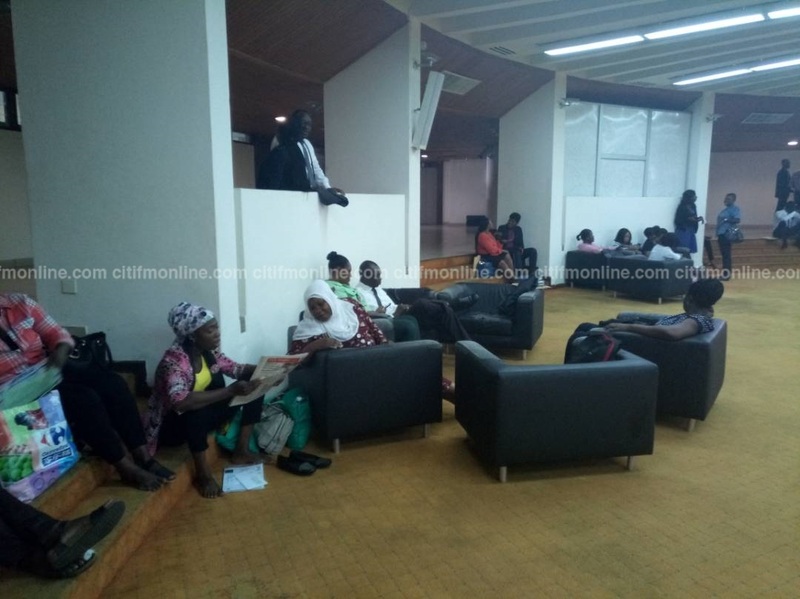 When Citi News’ Philip Nii Lartey visited the office complex on Wednesday morning, most of the workers were seen seated in pockets in the House’s lobby chit chatting. Some of these workers, who spoke to Citi News, said they were informed by the security officer at post that they couldn’t enter the building because investigators were assessing the extent of damage caused. Smoke was seen coming from the 10th floor of the building which mainly serves as offices for parliamentarians on Tuesday night. It took the timely intervention of fire service personnel to prevent the raging fire from gutting the entire floor.